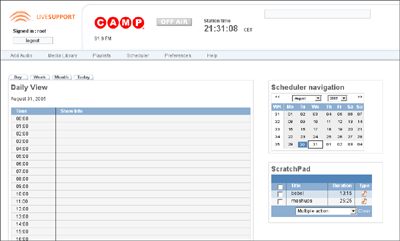 Campcaster is an open source radio management application for use by both small and large radio stations (yes, real radio stations, not internet radio) to schedule radio shows. It provides both live studio broadcast capabilities via a desktop application called Campcaster Studio as well as remote automation via the Campcaster Web interface. 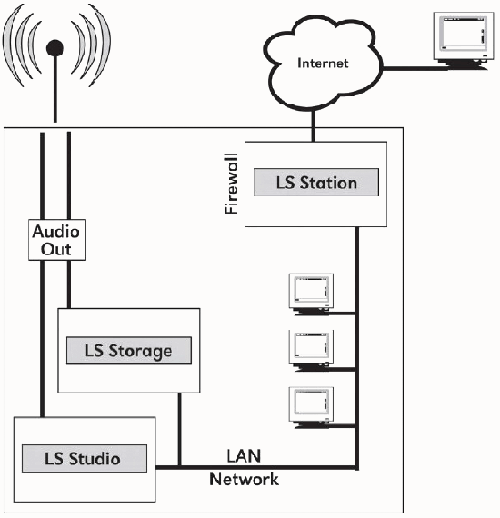 Campcaster has networking components that make it easy for affliated stations to share their content with each other, either over the Internet, or by exporting content to removable media for ground transport. This latter method is necessary in many places where there may be little or no Internet connectivity. 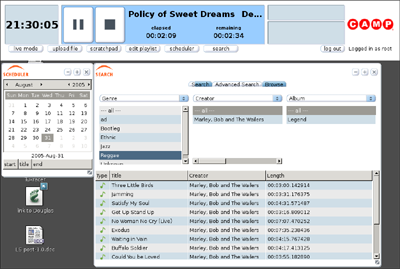 You can create mashups with other applications using Campcaster’s XMLRPC interface, which is supported for the audio storage module and the scheduler. 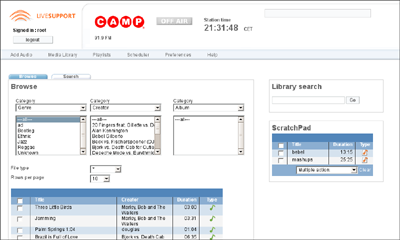 Campcaster runs only on Linux.